At David Dexters we take a keen interest in our community, which is why we attended the careers evening at Oldbury Wells School on January 26th. Together with a number of local and regional businesses and training providers we helped to advise and educate aspiring pupils in years 10-13 about what career path they might like to follow. We had our own David Dexters stand where four members of our team answered questions and provided information to pupils and parents about Bosch automotive apprenticeships and training. 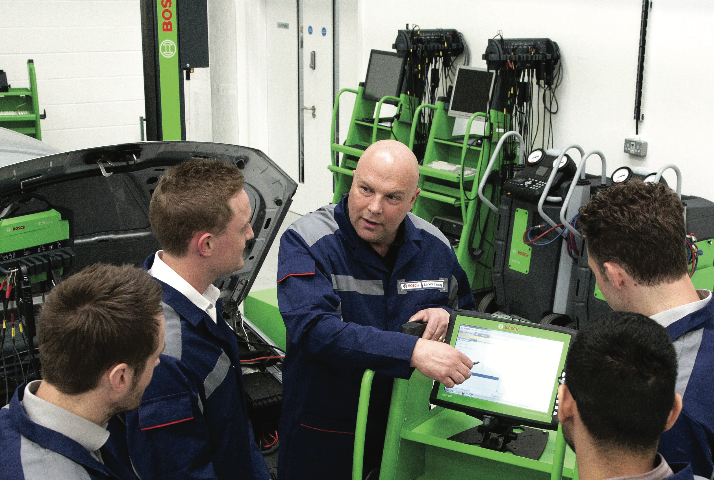 This programme will see apprentices receiving training on the latest automotive systems and servicing techniques, providing the right step to becoming a qualified automotive technician. We also ran a competition where attendees had the chance to win a £20 Amazon voucher. The competition saw participants changing a car’s spark plugs in the quickest time possible. The winning time was a very respectable 1 min 42 secs with our stand drawing a large crowd. It was great to be able to attend the event as at David Dexters we firmly believe that pupils should be given sufficient advice and information to provide them with the necessary tools which will further their studying and working career once they leave school. This can be a daunting prospect for anyone, but we hope the information gained on the night will show them what can be achieved with a little hard work and dedication. For more information about Bosch automotive apprenticeships and training please contact richie.cooper@daviddexters.co.uk today.